I wouldn’t like to think how many presses, taps and clicks the ‘track shipment’ option on Apple’s website and official app have notched up in the last few days from users who are desperate to find out where their new iPad is. The fact that Apple decided to allow customers to put through pre-orders for this new product launch means that email inboxes lit up all over the world at the beginning of the week with order progress updates advising that the order has been shipped by the company. Unfortunately for excited consumers, it seems that Apple had advised the delivery companies to hold onto the shipments and try their very hardest to make sure they were delivered on the official launch date this Friday. If history has taught us anything when it comes to matters such as this, it’s that where there’s a will there’s a way and somehow, someone always manages to get their hands on these new products before the official release date. That certainly proved accurate when we were treated to an early hands-on unboxing video from a Vietnamese site, who were the first to release footage of the next-generation device. 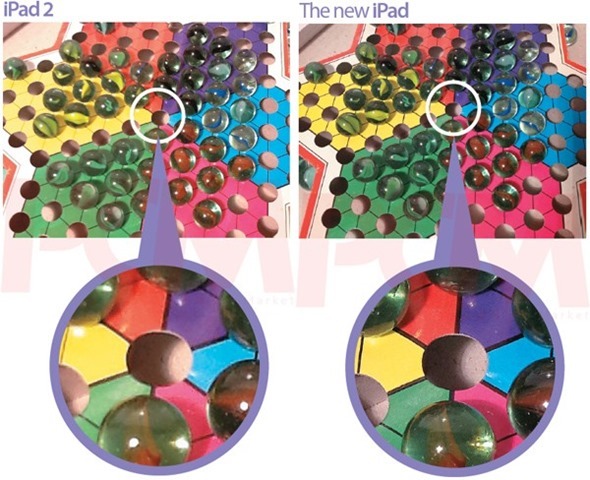 Fast forward a day and we are seeing another site, this time PCM Online, showing footage of the new iPad in its utmost glory and also took the painstaking time to compare it to the iPad 2. 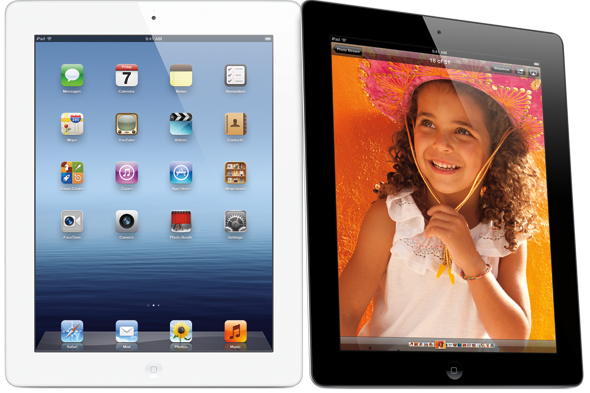 The device in question is a white version, with 16GB of flash storage and built in 4G LTE, with PCM not only releasing a video which runs through a number of the more notable features of the new iPad, but also showing a number of photographs taken with the tablet as well as benchmark tests compared to the iPad 2. 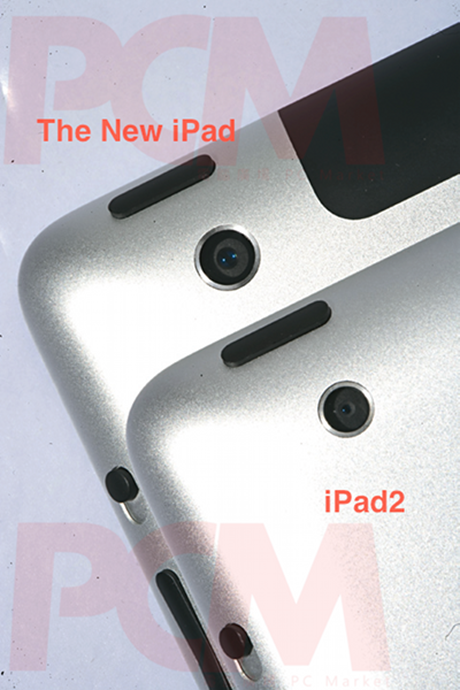 The video quality from the rear camera is obviously of a much higher standard that what the iPad 2 can produce, but suffers from overexposure, at least in the sample clip from PCM. 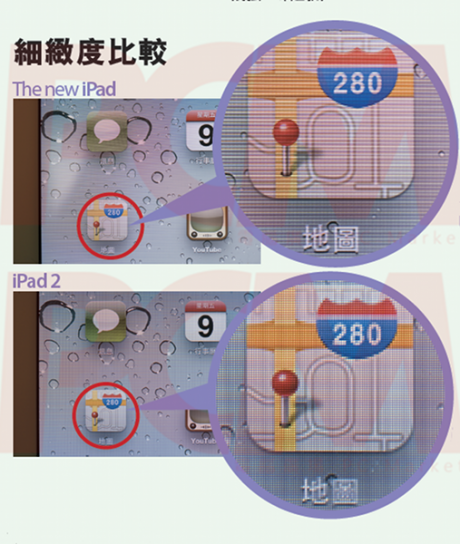 PCM have also run a number of graphics benchmarking tests, comparing the new iPad and the iPad 2 side by side. As you might expect from a quad-core GPU, the performance of the latest tablet rules the roost of its baby brother with performance rising from 90 FPS to 140 FPS when run under the GLBenchmark 2.1.1 Egypt off-screen test and a staggering 250 FPS in the Pro off-screen test. It would seem that those who have pre-ordered the new iPad, or who are planning on getting in line company Friday morning are certainly going to be in for a treat.